What are electoral bonds? How do they help clean up election campaign? Though electoral bonds are not bonds in the real sense of the term, they improve transparency in campaign funding and reduce the influence of black money. 1. Notification: The government notified the electoral bond scheme on January 2, 2018, and the first tranche of electoral bond sale took place from March 1-10, 2018 through authorized branches of the State Bank of India (SBI). The seventh tranche of bond sales took place from January 1 to 10 this year. 2. Not real bond: This is not a bond in the real sense of the term. A bond is a debt instrument that a buyer can redeem at a future date at a specified premium. The electoral bond is simply a donation slip that the donor may buy from a designated bank and hand over to the political party to meet campaign expenses. 3. Who can buy the bond: An Indian citizen or entity alone or jointly with other citizens or entities can buy the bonds. 4. Redeeming the bond: A political party that is donated a bond can redeem it at face value to a pre-designated bank account within 15 calendar days after purchase. 5. How long does it take to credit the money: The money is credited the same day on which the bond is submitted. 6. The values of the bonds: The State Bank of India issues bonds in denominations of multiples of Rs 1,000, Rs 10,000, Rs 1 lakh, Rs 10 lakh, and Rs 1 crore. 7. Can cash be used to buy the bond: Donation amounts up to Rs 2,000 can be made in cash. Higher amounts can only be done through bank accounts of the donors. 8. Transparency: The electoral bond brings some transparency to the transaction as it avoids the use of cash transaction. 9. Curbing black money: Indian elections have always been awash with black money with most of the transactions taking place in cash leaving no paper or digital trail. The electoral bond involves transaction done through KYC (know your client) compliant bank accounts. 10. Is tax deduction available on donations through electoral bonds: The donation is tax deductible up to the specified limit in the Income Tax Act provisions that deal with donations to charitable and not-for-profit institutions and organizations. 11. Can the political party receiving the donation claim tax exemption: The political party can claim exemption on the donation amount received through the electoral bond. Black money has been the bane of Indian elections and electoral bonds reduce their influence to some extent. 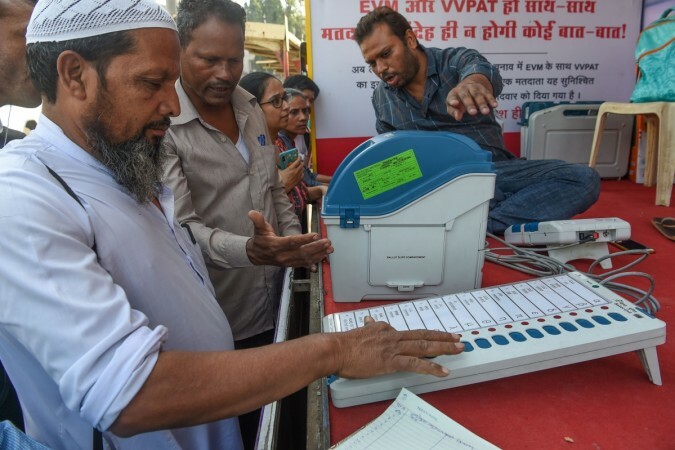 Experts have been discussing other methods like state funding of elections and creation of a national election fund also as methods of curbing the influence of black money in elections. The first step to reducing the influence of black money was the expenditure cap that the Election Commission introduced. For the general election 2019, the cap is Rs 70 lakh for constituencies of larger states and Delhi. The constituencies of smaller states like Goa, Sikkim and Arunachal Pradesh and union territories have a limit of Rs 54 lakh.